"I reckon Bliss will make us a fortune with the Uniform"
Francis Edward "Frank" Bliss (b. 1843 - d. 1915) of American Publishing Company arranged and published twenty-three volumes of the uniform edition of Mark Twain's works. Francis Edward Bliss, known as Frank, was born in September 1843 in Springfield, Massachusetts. He was the son of Elisha Bliss, Jr. and Lois Ann Thayer. He was educated in both New York and Springfield, and finally at the Collegiate Preparatory School of Alexander Hyde in Lee, Massachusetts. Frank Bliss had begun his business career at the Ninth National Bank of New York in 1864. He later joined his father Elisha Bliss at American Publishing Company in Hartford and became the company's treasurer in 1868. After his father's death in 1880, Frank, along with his half-brother Walter, assumed the company's management. Frank later became president of the company which specialized in subscription book publishing. Sales were conducted by corps of men and women who traveled door-to-door throughout the country taking orders for books to be delivered at a later date. The majority of the company's fortunes had been founded on the works of Mark Twain and the company claimed a publisher's copyright to many of his early books. On March 4, 1897 Frank Bliss signed a contract with Harper and Brothers that he hoped would be the most lucrative in his company's history. He received the rights to use Mark Twain's works owned by Harper in a complete uniform edition. The agreement was dated December 31, 1896 and was also the date of an agreement between Olivia Clemens, Samuel Clemens and American Publishing Company to publish Mark Twain's next major work by subscription which would be titled Following the Equator. Frank Bliss had his work cut out -- produce and sell Following the Equator and plan, produce and sell a uniform edition of Mark Twain's works consisting of at least twenty volumes. Bliss received the manuscript for Following the Equator in May 1897 and published it with elaborate illustrations in November 1897. He was then in a position to focus on the uniform edition. Producing the uniform edition would require the production of new printing plates. A handful of earlier volumes of works which had been issued in elaborately illustrated subscription volumes would need to be divided into two volumes to make books of uniform size. Clemens would have an opportunity to correct and revise his old first editions -- a task in which he ultimately took little interest. Artists would be hired to provide new illustrations for some of the earlier works. Door-to-door booksellers would canvass the country taking orders. And amid all the logistics of compiling the older works into a uniform set, Clemens continued to write new material. Harper and Brothers continued to publish both new material and collections of Mark Twain's early magazine contributions. Arrangements would have to be made and contracts negotiated to incorporate the new material into the uniform edition as it became available after an agreeable length of time. This means of itself 200,000 volumes, as we expect, each set will make 20 volumes. Now there are quite a number of different agencies to be supplied and while this instance, perhaps, is likely to be the largest, yet, if we assume for all the others the very moderate figures of doubling the above amount, but which we think is small, we should have the pleasant result of 400,000 volumes. The plan is to start in with the highest priced edition first, in order to market it before following with the lower priced ones, and in that way work off as many as possible of the expensive editions. The probability is that the "Author's Signed Edition" will sell for about $200 a set, the DeLuxe" about $80.00 a set, and the Popular Edition about $50.00 a set (Leary, p. 347). Now, however, it is quite plain to be seen that it would be a very grave mistake for him to undertake to do anything of the sort. In the first place I do not believe that he would succeed in selling very many sets from personal efforts. He might easily place a few, but I imagine that he would find it very distasteful when he had to settle down to asking people to buy the books. He would not like it (Leary, p. 347). The prices Bliss projected for the uniform edition would place it out of reach of the average income of most citizens. Adjusting for inflation, a $200 set of books in 1898 would be the equivalent of about $4900 in year 2007; $80 would be the equivalent of about $1900; and $50 would be about $1200 in today's dollars. To put the prices further into perspective, in the year 1899 the average salary of a high school teacher in New York was only $697 (Franklin, p. 373). Bliss's editions could be purchased only by the wealthiest citizens. Bliss predicted an overwhelming business for Mark Twain's uniform edition in America. When Clemens read Bliss's letter, he added up the projected figures, penciling in his estimated gross income of about $600,000. For the time being, he apparently dropped the idea of handling the sales of the higher priced books himself. 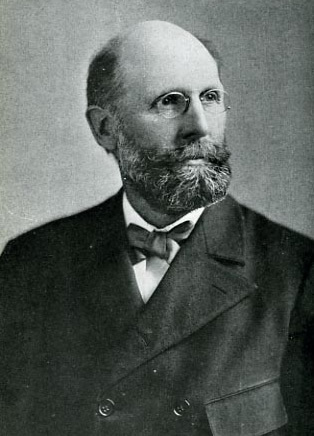 By March 1898, Clemens had paid almost all of the creditors connected with the Webster and Company business failure with proceeds from his around-the-world lecture tour, sales of Following the Equator and investment strategies led by Henry Rogers. How much Rogers may have personally contributed from his own fortune to bail out Clemens may never be known. But rumors circulated that Rogers may have been more involved than just financial advising. The Barrow family of Skaneateles, New York were one of the last group of creditors to be paid. On 12 April 1898 Clemens responded to a letter from attorney George Barrow: "you have said (to the gentleman who reported it to me), that is not my wife and I who are paying my debts, but that Mr. Rogers is paying them out of his own pocket." Clemens's response, filled with invective was never mailed (Leary, p. 341). Clemens wrote to Rogers on 21 April 1898, "But I don't care what Barrow thinks as to who pays my debts for me -- as long as it makes him unhappy" (Leary, p. 343). Rogers eventually settled the claims with the Barrow family but the final details of the settlement are unknown and no letters from Barrow to Clemens have been recovered. When Clemens looked at the projected profits from a uniform edition of his works, he saw those dollars as a restoration of his own fortune. I would like Bliss to engage to furnish and ship to Chatto a de luxe edition at about cost. I have lost Bliss's letter, but I remember that his scheme was so gorgeous that it took my interest out of peat wool. I wonder what has wakened him up! In any case now is the time to work the market -- for by and by there won't be any market. I want him to pull his Klondyke in and materialize it, for I want to be able to come and die at home. Funerals are too expensive here for my means (Leary, p. 350). As the time drew nearer for release of the edition, Clemens would continue working to implement plans to tap into the British market. Frank Bliss asked Clemens to write an introduction to the uniform edition that would be used in the first volume. On 20 August 1898 Clemens wrote back to Bliss, "I haven't any idea what to put into an Introduction. Have you?" Clemens suggested that his good friend William Dean Howells and literary critic Brander Matthews would be good candidates to write such an introduction. Howells, a close friend and editor, had been an admirer of Mark Twain's writings from early in his career. 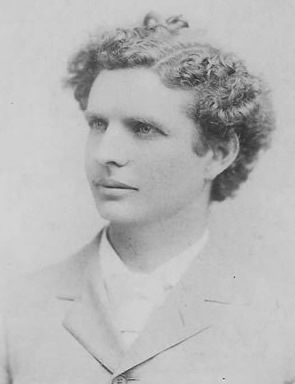 Matthews, a professor of literature at Columbia University, had written positive reviews of Adventures of Huckleberry Finn when it was first published and remained an appreciative critic of Mark Twain's works. You are the greatest man of your sort that ever lived, and there is no use saying anything else. I would have liked to say so in a sort of biographical and critical essay about you for the new edition of your books which Bliss is going to get out, but he had not the courage to pay what I asked for it, -- fifteen hundred dollars, -- and he wanted something less in quantity than I was willing to do; so the thing is off (Smith and Gibson, p. 679-680). I put in 5 days on an Introduction. I had pretty good hopes of it -- also some suspicions. After the finish, the hopes retired and the suspicions had a walkover. I was totally unsatisfied, and tore up the MS. ... By George, if Bliss could get an Introduction from Howells, that would be a thing worth reading! I put in 5 days on 50 pages of Introduction, and then put it in the fire. A thousand dollars' worth of work for nothing. An author cannot successfully write about his own books nor a mother about her own children -- nothing but a poorly-concealed parade of silly vanities results. No one can do the job creditably but an outsider. No one can do it best for me but Howells or Brander Matthews. The 3 pages of Introduction which I enclose are satisfactory to me. They do not exhibit me turning handsprings in my shirt-tail. (Leary, p. 379). Dad burn it, I was afraid Bliss wouldn't secure you, though I implored him, and was unusually respectful to him, even affectionate. Maybe he thought that if he failed to get you he would get a long introduction out of me instead, and so be at no expense for that feature; but it didn't happen: I gave him only 2 stickfuls. I am obliged to say one thing for him, though -- he is going to make a very handsome edition out of that Uniform, very; and moreover, he is working away with an energy which reminds me of his sainted father, who is now in hell. Energy has not been a specialty with him heretofore. But I have it privately from his hand that he has 8 general agents who will buy and pay for 20,000 sets (400,000) volumes and then do their own canvassing and collecting. I hope he will not be disappointed -- not chiefly for his own sake -- I could use my half of that swag to advantage" (Smith and Gibson, p. 683). Bliss was able to secure Brander Matthews to write the introductory essay titled "Biographical Criticism" for the uniform edition of Mark Twain's Works. Evidence indicates, however, that Clemens may not have been entirely satisfied with Matthews's essay. In March 1899 Clemens wrote a fourteen page manuscript for a short autobiography of himself in the third person voice. According to Mark Twain biographer Justin Kaplan, the manuscript "can be read as a statement about himself by a man who had already in his lifetime become a legend, who continued to manipulate and redefine the symbols of which his legend was based, and who was driven by the need to impose order on a sprawling life which he often felt was without meaning" (Kaplan, p. 356). On March 31, 1899 Clemens mailed the draft of his autobiography to Frank Bliss with these instructions at the top of the first page: "Mrs. Clemens wishes you to ask Sam Moffett, my nephew (editor of the New York Journal) to write this biographical sketch from these notes and then she would like to see it before it is printed. SLC" (American Book Prices Current, p. 850). Clemens's note makes it clear that his wife was still lending a guiding hand to the contents of the uniform edition. When Bliss engaged Brander I took it for granted that he had not been able to get you and had therefore followed instructions and got Brander. It was through you that I found out why he had commissioned Brander; he did not reveal the reason himself. Then I had a pang which remains a pang yet, and freshly smarts whenever I think of Bliss's stupid uneconomical economy. If I had been there I should have made even his publisher-soul understand that there are honors which are above the reach of computation in dollars -- honors of that value at least to one of the partners in the Uniform -- and that also commercially he was meditating a mistake -- a mistake insuring damage for both partners. Damn these human beings; if I had invented them I would go hide my head in a bag. I can't get over the loss of that essay, and that is Mrs. Clemens's feeling about it also. Could you waive rank and let it sum up, as it were, and say the last word -- as a preface to the closing volume? Do not be offended at the suggestion; I could not make it if your rank were not supreme -- if you were not Douglas and above the salt no matter where the salt might be (Smith and Gibson, p. 694-695). Owing to the number of unauthorized and largely apocryphal accounts of his life that have appeared in various countries, Mark Twain asked his nephew, Mr. Samuel E. Moffett, to write a sketch of him that should be authentic. The result was the present article, of which Mark Twain wrote, when it was submitted for his opinion, "This biographical sketch suits me entirely -- in simplicity, directness, dignity, lucidity -- in all ways." It so completely satisfied him that he has chosen it to appear in the collected subscription edition of his works, soon to be published by the American Publishing Company, and also with the German translations of his works (McClure's Magazine, vol. 13, p. 523). Small wonder that Moffett's essay suited Clemens -- Clemens had provided the first draft himself. Clemens's autobiography, written in the third person, was later privately printed by Walter Bliss in 1916 at the Davis Press in Worcester, Massachusetts. Some additional copies were printed by rare book dealer Merle Johnson probably in 1918. No more than 75 total copies are thought to have been published and distributed under the titles Samuel Langhorne Clemens and Mark by Mark. Clemens's original manuscript was sold at American Art Galleries in New York on March 13, 1918. According to bibliographer Jacob Blanck, "this is a superb example of the artificial rarity-first edition" (Blanck, p. 222). Clemens did sign his preface which appeared in Volume 1. So far as I remember, I have never seen an Author's Preface which had any purpose but one -- to furnish reasons for the publication of the book. Prefaces wear many disguises, call themselves by various names, and pretend to come on various businesses, but I think that upon examination we are quite sure to find that their errand is always the same: they are there to apologize for the book; in other words, furnish reasons for its publication. This often insures brevity. Upon these terms, if there is nothing to explain or nothing worth the explanation, there is no occasion for a Preface; there is nothing for it to do -- except to explain its own presence, apologize for its intrusion. That is what this present Preface does. When the books in this collection appeared in print originally, most of them had Prefaces which furnished reasons for publication. Those Introductions will be found in their places, and need not be repeated here. The jurisdiction of the present Preface is restricted to furnishing reasons for the publication of the Collection as a whole. This is not easy to do. Aside from the ordinary commercial reasons I find none that I can offer with dignity. I cannot say without immodesty that the books have merit; I cannot say without immodesty that the public want a Uniform Edition; I cannot say without immodesty that a Uniform Edition will turn the nation toward high ideals and elevated thought; I cannot say without immodesty that a Uniform Edition will eradicate crime. Though I think it will. I find no reason which I can offer without immodesty except the rather poor one that I should like to see a Uniform Edition myself. It is nothing; a cat could say it about her kittens. Still, I believe I will stand upon that. I have to have a Preface and a reason, by law of custom, and the reason which I am putting forward is at least without offense. provided the introduction to American Publishing Company's Uniform Edition. nephew of Mark Twain provided a closing biography to the Uniform Edition. Thus, the first uniform edition of Mark Twain's works from American Publishing Company first took shape in 21 volumes showcased between an introductory essay by literary critic Brander Matthews along with a preface by Clemens and a closing biographical essay signed by Samuel Moffett. A new and uniform edition of all the works of Mark Twain will shortly be put on the subscription market by the American Publishing Company. The agent for all territory east of the Rocky Mountains is the New England Company, of No. 156 Fifth Avenue. This edition will be published in twenty-two octavo volumes, printed from new type ... A special limited edition of 512 copies will be known as the autograph edition. Every copy of the first volume will contain the author's autograph of both his real and assumed name, and a majority of the artists will add their autographs in pencil to the illustrations representing their best work in the series. The Herald article quoted from Mark Twain's preface and reprinted Brander Matthews's introduction. Bliss seems to be having an easy thing with his handsome signed and numbered edition (of 512 copies.) President McKinley and other big guns have subscribed, and Bliss is feeling very well. Do you think you could work off a similar edition in England? I suppose there is abundance of time to feel the pulse there; for I don't suppose Bliss has as yet manufactured any but the first of the 20 or 22 volumes. I think the American price for the set is $200. The books are made by Riverside Press -- and of course that means the best of taste and much expense (Leary, p. 399). What unspeakable sharks those Harpers are! Bliss intimates that they will expect me to pay them a royalty on the English sets of my Uniform. When they charge Bliss a royalty it is merely robbery; but when they charge me, it is robbery and fornication combined (Leary, p. 413). Harper and Brothers later denied expecting a royalty on any British editions. However, the early wrangling over legitimate salesmen, expenses, and royalties was not a good omen. American Book Prices Current, Vol. 24. 1918. Online from google books. 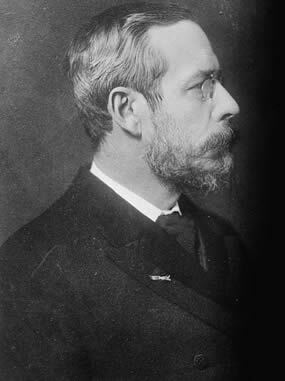 Clemens, Samuel L. to Francis E. Bliss, 15 April 1899. (Mark Twain Papers, University of California at Berkeley). "The Book of the Week," New York Herald, April 30, 1899, p. 7. Franklin, C. E., ed. New York Education, vol. 3. (Albany: New York Education Company, 1900). Online from google books. Hart, Samuel. Encyclopedia of Connecticut Biography, Vol. 5. (Boston, New York: The American Historical Society, Incorporated, 1917). Kaplan, Justin. Mr. Clemens and Mark Twain. (Simon and Schuster, 1966). "Mark Twain," Hartford Courant, 1 May 1899, p. 8. Mac Donnell, Kevin. Personal correspondence, 7 January 2010. Moffett, Samuel. "Mark Twain: A Biographical Sketch," McClure's Magazine, Vol. 13, October 1899, p. 523-529. Online from google books. "Publisher of Early Twain Works Dies," Hartford Courant, 10 November 1915, p. 6.